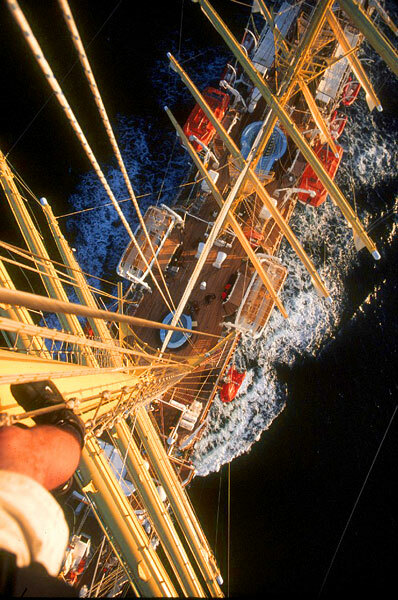 Bare "sticks" the 5 masted Royal Clipper motors through the Mediterranean on her maiden voyage, with Maritime photographer in the rigging. USCG Licensed Master 100 tons. Participant Monthly NY Harbor Operations roundtable, USCG NY.